The Lingua File from TLF Translation: Do Spaniards Lisp? Many people are familiar with the "lispy" Spanish accent. It is often wrongly attributed to people in Spain copying a speech impediment of the king. It is, in fact, nothing more than a natural evolution of the language and its pronunciation. The main letters involved in this phonological phenomenon are "c", "z" and "s". So what is it? We have three main options: distinción, ceceo and seseo. In Spanish, a few letters, such as "c" when followed by "e" or "i", and "z" have various ways to be pronounced. 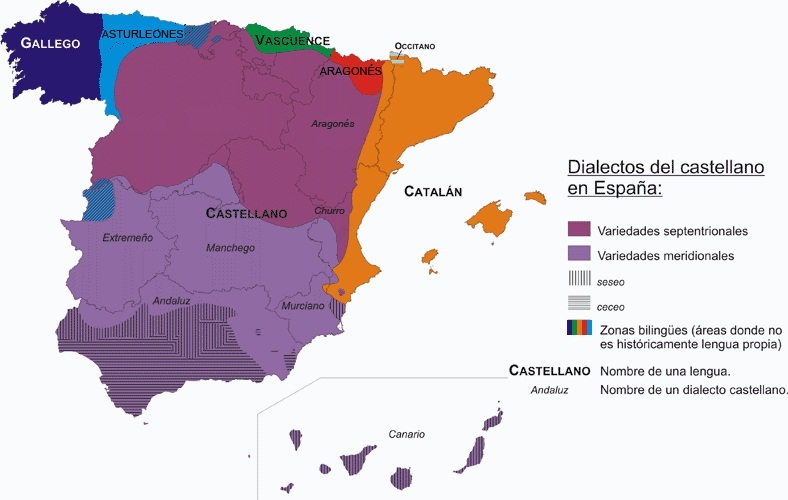 For the large majority of accents in Spain they are pronounced in the same way one would pronounce the "th" in "think" /θ/. However, the letter "s" is not pronounced like this and it is pronounced the same way as in sink. This is known as distinción, as the speaker has made a distinction between the c or z, and s. Quite simply if they pronounce casa (house) and caza (hunt) differently. They are using distinción. This doesn't even begin to cover most accents in Spain. When they are all pronounced with our /θ/ sound, this is called ceceo. Which is also the word used for lisping. Which is a lot kinder than English using a word with an s in. In this case casa and caza are pronounced the same using /θ/ for both the "s" and the "z". 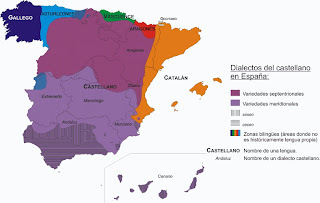 This is common in certain areas with Andalusia and in many cases is not a lisp, but a feature of the accent. Of course, those with a lisp will speak the same as someone whose accent features the ceceo. We've been told that in Sylvester the Cat has a ceceo in Spanish. In fact, most of the ceceo-ing happens in Andalusia. Is that a lisp or are you just Andaluz? When none of the sounds are pronounced /θ/ and are pronounced with a typical "s" sound, /s/ it is known as seseo. This is more common with speakers of Spanish in the Americas. Our test words casa and caza will both be pronounced the same, but with the /s/ "sink" sound rather than the /θ/ "think" sound. That's all well and good, of course, those who use ceceo will pronounce ceceo and seseo the same, with the /θ/ sound, and those who use seseo will pronounce both the same but with the /s/ sound. So you can only truly know which one a speaker is talking about if they use distinción. There is a less known one only used in very rural communities, we hear tales of the almost legendary jejeo, in which all the above sounds are pronounced in the way a Spanish speaker would pronounce the letter j, similar to a throaty h-sound in English. So not all Spaniards lisp. Some distinguish, others don't. Nice summary! I'm very proud to say I've heard the heheo myself quite recently (I spell it with an "h" since the pronunciation is not so much like the Spanish "j" /x/, but more like the English /h/ or the Spanish aspiration of the -h-, that is also common in Andalusia)… I guess I've witnessed the legend, then! The thing is that you usually find speakers that have both ceceo and heheo or even ceceo and seseo at the same time… Crazy and beautiful at the same time. Thanks for the post! That's amazing. We'd only heard about it and never witnessed it first hand. You don't happen to remember where exactly you heard it? It's very likely you'll hear this "heheo" phenomenon if you visit Castilla-La Mancha. It could even be "jejeo", there you find the typical "ejque" instead of "esque" or "Mojca" instead of "Mosca". The jejeo is rather common in rural areas of the Venezuelan Andes and probably in Colombia too. "Se quiere casar" is pronounced "je quiere cajar". Note that this is not the case of aspirated "s" pronounced as "j", which is pretty common in Andalucía an many Latin American countries. Clear and to the point... worth sharing!